A range of metallic French Reward stickers, each featuring a French-language message of praise and encouragement. 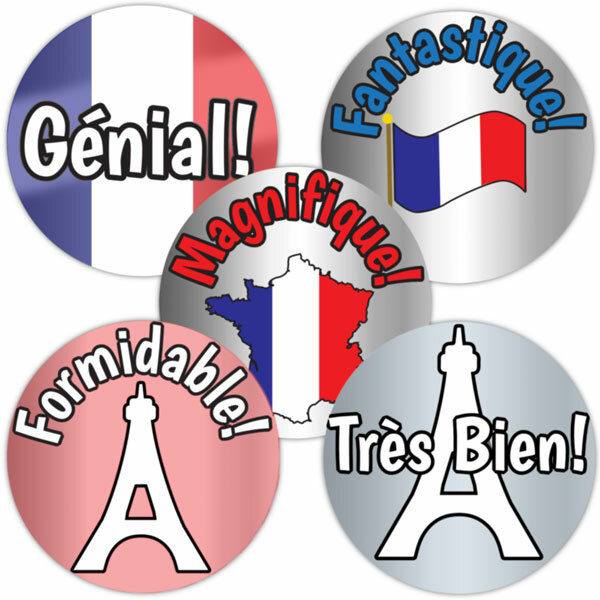 With a shiny, metallic foil background, these blue, white and red tricolore-themed praise stickers will help to motivate your pupils! This is a mixed pack of 125 stickers (25 of each of 5 designs as shown above).